What websites do Africans get their news from? 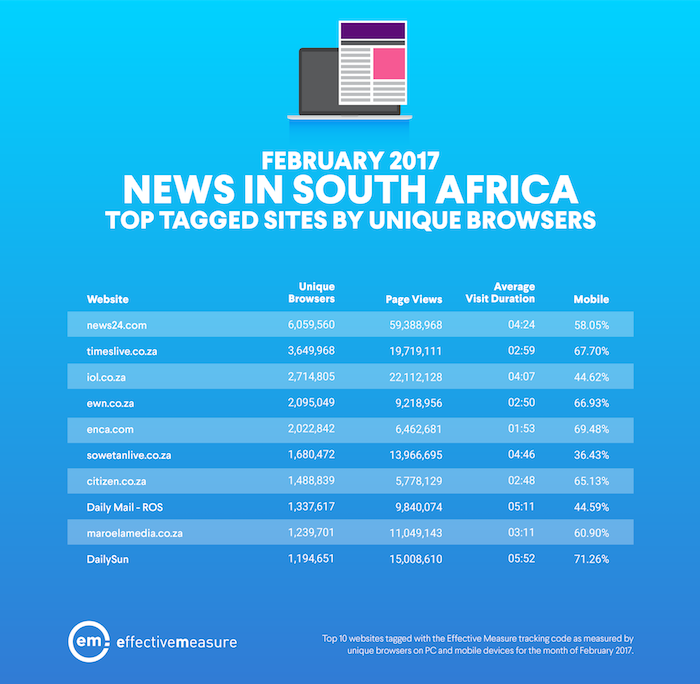 We share the top 10 news sites for the country by unique browsers for February 2017. Congratulations to News24, Times LIVE and IOL for topping the charts.